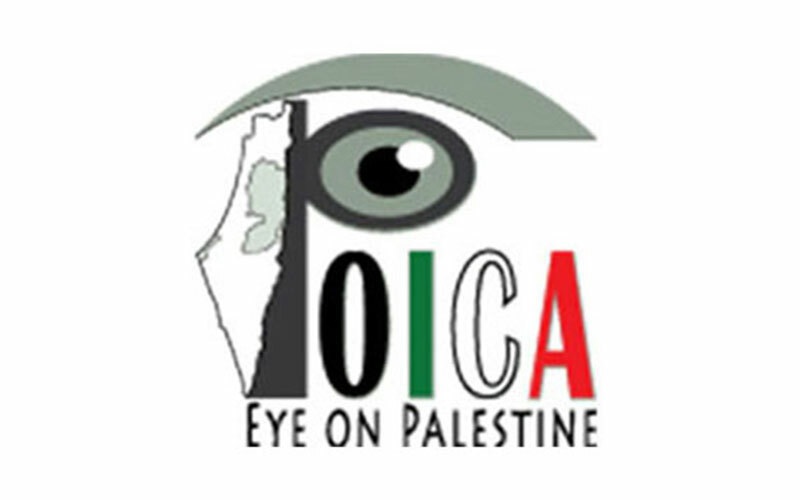 The Israeli occupation authorities on June 19. 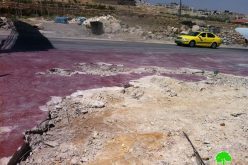 2016 demolished three structures in the area of Wad Jheish, south Yatta town in Hebron governorate. 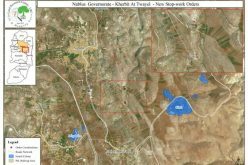 Khalil Nawaj'a (65) said that a vehicle relative to the Civil Administration accompanied by a force from the occupation army raided the Khirbet, deployed in the surroundings and encircled the targeted structures in preparation for demolition. Accompanying workers to the force evicted some of the structures' interior before two dozers brought them down. 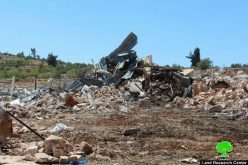 Citizen Khalil Nawaj'a: the occupation demolished his metal slaps residence , which is home for his six member family including 3 children. The demolished 50m2 tent was established in 2013. 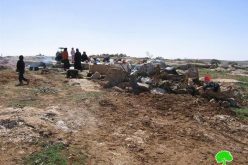 Citizen Hisham Nawaj'a: the occupation demolished his structure , which is home for his 12 member family including 9 children. The demolished 40m2 tent was established in 2005. 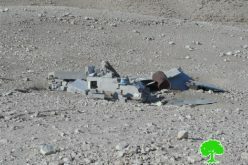 Also, the occupation also demolished an outdoors structure owned by citizen Hisham; the 25m2 structure is a sheep tent that was established in 2005. Not only, the occupation brought down a 16m2 tent belonging to the same citizen. 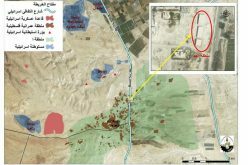 It should be marked that the Israeli occupation authorities served the affected citizens orders indicating "additional opportunity to object demolition" on May 10, 2015. Citizens pointed out that they sought help from the Saint Yves association to object the orders through. The demolition caused the family to become homeless and to sleep out in the wild. Noteworthy, the affected citizen set up a tent next day to shelter his family from the heat wave that hit the country at time. The residential community of Wad Jheish populates 80 people. 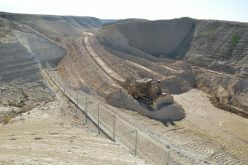 It is surrounded by Susiya colony from the north and Beit Yattir colony and the bypass road number 317 from the east.